After finishing the regular season as the 12th seed in the ACC Tournament, the Pitt men’s baseball team pulled off two incredible upsets against eighth-seeded Georgia Tech and top overall seed North Carolina. Although the Panthers would go on to lose in the semifinal to Louisville, it was a strong end to an otherwise underwhelming season. While most of the players set their sights on next season, a select few Panthers got ready for the 2018 MLB draft. Last season, only three Panthers were drafted — pitcher Josh Falk to the Oakland A’s, pitcher Isaac Mattson to the Los Angeles Angels and pitcher Josh Mitchell to the Kansas City Royals. But this year, the number of Panthers drafted climbed to five. Upon the completion of his sophomore year in April, relief pitcher RJ Freure was selected by the Houston Astros. He was the first Panther to go, overall the 192nd pick in the sixth round June 5. Prior to coming to Pitt, Freure had promising beginnings — he played on Canada’s junior national under-18 team, where the team placed sixth in the World Championships. During this past season, Freure compiled 95 strikeouts while throwing just 58.2 innings and a 4.30 ERA. His most notable performance was when he struck out 11 batters in 5.2 shutout innings of relief against Georgia Tech April 14. Freure officially reached an agreement June 18 with the Houston Astros, subsequently ending his brief, but successful time as a Panther. After completing the academic year as a redshirt senior, pitcher Matt Pidich was chosen by the Cincinnati Reds. He was the 229th overall pick during the eighth round June 5. Having already graduated from Pitt and utilizing all four years of his eligibility, Pidich decided to ink his contract with the Reds, officially beginning his professional career. Originally from New Jersey, Pidich served as the Panther’s ace in his final season — he threw 91.1 innings over 15 starts and struck out 99 batters with a 3.05 ERA. 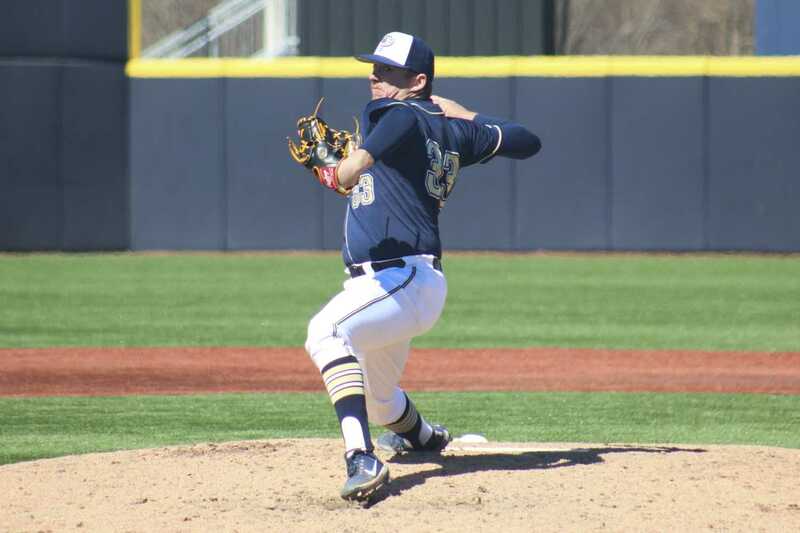 Pidich led the way for Pitt in the first round of the ACC Tournament against Georgia Tech, dealing seven innings and allowing just one run on three hits — all while racking up eight strikeouts. After missing his first two seasons due to elbow and knee injuries, rising redshirt junior Derek West finally got to prove himself on the mound — and as a result, he was chosen by the Atlanta Braves as the 832nd overall pick in the 28th round June 6. The Florida native made the long distance from home worth it in his 13 appearances for the Panthers — nine as a starter and four as a reliever. Overall, he finished with a 3.24 ERA in 50 innings while holding opposing batters to a meager .200 batting average. But despite a promising offer from the the Braves, West opted to continue his success from last season and return to the Panthers for another year. Though he came to Pitt as a transfer, New York City native and infielder Liam Sabino was selected by the St. Louis Cardinals June 6 — the 1053rd overall pick in the 35th round. Beginning his Pitt career as a redshirt junior from Vanderbilt, Sabino dominated at the plate. In 55 games, Sabino hit .286 with a .992 OPS, swatting 16 home runs while tallying 44 RBIs and swiping 18 bags. Sabino led the team in HR, RBI, doubles, runs scored, OPS, stolen bases and hits. Sabino has yet to make a clear decision between signing with the Cardinals or returning to Pitt. Twelve picks after Sabino, pitcher Yaya Chentouf was selected in the 36th round as the 1065th overall pick by the Detroit Tigers. After playing as both a position player and a pitcher his first two seasons, Chentouf was just a pitcher by his junior year. He threw 41 innings right out of the bullpen, striking out 45 batters and adding on eight saves. Despite having one more year of eligibility, Chentouf has officially signed with the Tigers — ending his career as a Panther. Along with the five players drafted from Pitt, two Panther commits were drafted. Pitcher Mason Ronan from Penn Cambria High School in Cresson was drafted by the Boston Red Sox in the 29th round. Billy Corcoran from Malvern Preparatory School in Malvern was selected by the Texas Rangers in the 36th round. Ronan announced that he’ll continue his academic and playing career at Pitt. A few days later, Corcoran also announced he will follow through with his commitment. Of the five current Panthers that were drafted, three have signed with their respective clubs, one has opted to return for another season and one has yet to decide. For past, present and future Panthers, the future looks bright.